This is a fascinating discussion, especially considering the very life of an inmate hinges on the opinion. Some states have even placed a temporary halt on executions for inmates on death row until the McWilliams opinion is delivered. As a personal injury trial lawyer, I mused how expert witnesses are treated differently in civil cases, you know, in cases where mere money is at issue and not someone’s life or liberty. Of course, having one so-called “neutral” expert witness, to testify for both sides of a case, would never happen in civil cases. I haven’t tried a case without the appearance of at least one expert witness at trial in well over 20 years now. My cases are complex and naturally either require or will benefit from expert testimony. At a minimum. I will present the testimony of a treating physician, who certainly is an expert in his or her medical specialty, even if not an expert “specially retained to testify at trial.” In civil cases, especially medical malpractice cases, we often hear such testimony described as “The Battle of the Experts.” Defense attorneys have gotten into the habit of hiring just one more expert than the plaintiff has so that they can argue they have “more” experts on their side and, therefore, naturally, you should side with the party who has more experts (regardless of how credible those experts are!). What jurors may not be aware of is that the defense experts are being paid by the defendant doctor’s malpractice insurance carrier, not the doctor himself, so the sky’s the limit. Not so for plaintiffs. Plaintiff’s must front those expenses out of their own pockets, and because no individual plaintiff can afford to do so, this means the plaintiff’s attorney must pay for the experts in a case on his or her own dime. That may not make sense to you but that’s how it works. As you can imagine, hiring numerous experts simply to have one more than the other side has can get expensive. Where does this end? But defendants have unlimited sources of money for this and plaintiffs don’t. Today, a DeKalb County jury returned a verdict against two nurses who are employees of DeKalb Medical Center in the amount of $3.012 Million. The case is Edwards v. Nicome, et al., 11A36121. filed in the DeKalb County State Court. The case centered around the May 2009 death of Shari Edwards, age 31, who died of heart failure three days after being admitted to DeKalb Medical for preeclampsia and ultimately giving birth to her daughter. 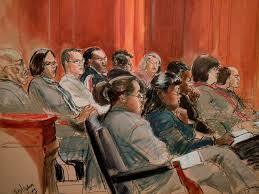 A third defendant, a physician, was not held liable by the jury. Congratulations go out to Plaintiff’s attorneys Bill Atkins, Rod Edmund and Keith Lindsay for what was obviously a valiant fight for justice in a three week trial. The case was defended by a trial attorney who I have tried a case against before, Tim Bendin. Bendin and his law firm often represents DeKalb Medical Center in personal injury cases. Because the nurses who were found to be at fault are employees of DeKalb Medical Center, DeKalb Medical Center is responsible for the verdict. The plaintiffs, the parents of the deceased Ms. Edwards, argued their daughter died because of peripartum cardiomyopathy, or heart failure, and the failure of her healthcare team, including Defendant physician Nicome and nurses Cox and Huber-Smith, to detect or treat her deteriorating condition. The evidence showed Edwards’ blood pressure problems had initially been treated, but in the hours before her death her condition became more precarious with low oxygen levels and blood-gas levels joining her complaints that she was short of breath. Despite this, Edmond said medical records showed staff did not take Edwards’ vital signs for three hours before she went into the cardiac arrest that proved fatal. The defense, however, argued Edwards’ condition was stable in the hours before her cardiac arrest, and her healthcare team treated her appropriately throughout her stay, including ordering tests and intervention where necessary. Bendin, the nurses’s attorney, seemingly attempted to cast blame on the attending physician, arguing they were just trying to follow doctor’s orders. This simply didn’t work. No word on whether DeKalb Medical Center will appeal the verdict. They have 30 days from the entry of judgment to do so. Did you know there is underway right now an effort in the Georgia Senate to eliminate your Seventh Amendment right to a jury trial in medical malpractice cases? That’s right. A bill has been introduced (again), SB 86, that seeks to eliminate jury trials in medical malpractice claims. This bill was introduced by Senator Brandon Beach from Alpharetta, and this is, at least, the second time around for the bill. Last year the same bill was introduced and a coalition made up of odd bedfellows, the Georgia Trial Lawyers Association (GTLA) and the Medical Association of Georgia (MAG), opposed it and it died a slow death. Like Lazarus, it has now been resurrected. Supporters of the bill make the wild claim that this bill would reduce so-called “defensive medicine” where doctors supposedly order unnecessary medical tests. I find such a claim outrageous and offensive. Doctors should, likewise, be offended by this strategy. I have talked with many doctors and taken many depositions of doctors. I have never found them to order what they know are unnecessary medical tests. For a doctor to order what he or she knows to be an unnecessary test (and get paid for it, by the way) would be fraudulent and would violate every ethical oath the physician has ever taken. So that cannot be the real issue with this piece of legislation. Who is behind it? Not the doctors themselves, as evidenced by the opposition of MAG, the doctors’ professional association. Not the citizens of Georgia. There has been no rallying cry that doctors shouldn’t be held accountable as every other citizen may be with he or she commits negligence that results in injury to someone. There have been no “runaway” verdicts in Georgia, either. Statistics show that doctors and hospitals win almost 85%-90% of all medical malpractice trials in Georgia. Can a Victim of Medical Malpractice Get Justice in Georgia? I have been thinking a lot about “justice” lately. I have just finished a week long medical malpractice trial in DeKalb County in which I did not think justice was served for the family who lost their loved one (more on that in a minute) although I don’t criticize the jury in any way. That alone is probably a difficult concept for lay persons to accept, but it is the truth for trial lawyers. I also can’t remember a time when the word “justice” has been thrown out more in the media, in social media, in sermons and in everyday conversations than it has in the last few weeks due to the events in Ferguson, MO. That is extraordinary for the United States, a nation founded upon the very principles of justice. Try Googling “was justice served” and you’ll get a myriad (actually 1,920,000 ) of opinions regarding the Ferguson shooting, with about half of the articles responding in the affirmative and about half responding in the negative. Maybe this rough split of 50/50 is proof in and of itself that the justice system usually gets it right. I say all of the above because after 27 years of practicing law in Georgia, I am on the verge of concluding that a victim of medical malpractice in this state cannot obtain justice. Jurors here in Georgia will look for the smallest shred of doubt, will do almost anything, not to hold a physician liable for his negligence. I can’t pinpoint one cause…there are probably many. TV advertisers must shoulder a lot of the blame. I am not a TV advertiser. I am an actual trial lawyer. 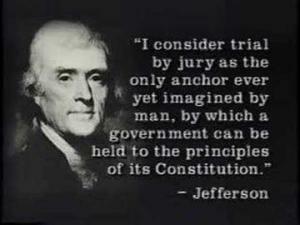 When I stand in front of a jury to begin jury selection, those jurors are already suspicious of me because they know only of personal injury lawyers who advertise on TV with silly slogans or theme music, or has-been actors touting the lawyer’s legal acumen. Although I have never advertised on TV or anywhere for that matter, I am lumped in with those who do because I am a personal injury lawyer. I am guilty by association. I have tried numerous medical malpractice cases in Georgia over the last several years. I represent only plaintiffs, the victims of someone else’s carelessness or negligence. Even after trying cases in Georgia for 25 years I still enjoy watching great trial lawyers try cases. It’s better than anything reality TV can show. So I hope I can carve out some time this week to watch part of the retrial in Sutton v. Bauer, in which jury selection started today in Cobb County State Court. This is the retrial of a medical malpractice (remember: malpractice simply means carelessness by a doctor) case that ended in a hung jury at the close of the first trial because the jury could reach a verdict on one defendant but not all defendants. The Court’s decision to enter a mistrial was appealed by the hospital to the Georgia Court of Appeals in Wellstar v. Sutton, 318 Ga.App. 802 (2012) and the appellate court affirmed the trial judge’s decision. Since that appellate opinion, the hospital, Wellstar, is no longer a defendant in this retrial, which, presumably, means there was a settlement between Wellstar and Plaintiff, but that would be probably be confidential. So this retrial is against the obstetrician who delivered the baby. The plaintiff is represented by well-known and well-respected consummate trial lawyer, Tommy Malone, and his son, Adam Malone, is assisting in the trial. I had the distinct pleasure of trying a medical malpractice (also a retrial after a hung jury in the first trial) with Adam Malone as my co-counsel in October of last year in Fulton County State Court. I hope to be able to watch a little bit of the Sutton trial and will give you my thoughts on how the jury and the evidence. Stay tuned…. I am in intense trial preparation this week for a medical malpractice trial I start on Tuesday in the DeKalb County State Court. As a plaintiff’s personal injury lawyer, I take just about any sort of case, including cases like the one I will try next week, against a physician for a medical error he committed during surgery. 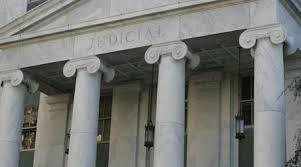 This type of case is known as a “medical malpractice” case, but all “malpractice” really means is “negligence,” and all “negligence” means is “carelessness.” In preparing for this trial I filed a Motion in Limine, which is a particular type of motion that seeks to limit the type of evidence that a jury is allowed to hear at trial. Part of my Motion in Limine is to prohibit argument or the charging of the jury on what is known in Georgia Law as the “presumption of due care.” It is a law that says doctors in Georgia are presumed to have used “due care” in their treatment of a patient, even though they are now being sued for it. This strikes me as fundmentally unfair. No other Georgia citizen gets the benefit of a presumption by the jury that he or she exercised “due care.” This is even more unfair given the fact that to file a lawsuit against a Georgia doctor you have to attach to the Complaint an Affidavit by another doctor that says the Georgia doctor did, in face, commit malpractice, i.e., did not exercise due care. Presumption rebutted! Already! As a plaintiff’s personal injury attorney who handles Georgia medical malpractice cases, it has always troubled me that Georgia hospital infection rates have never been accessible to the common consumer. Patients are left in the dark about which hospitals offer safe environments in terms of deadly infection rates. This may soon change. A new medicare database has recently issued an unprecedented study on hospital infection rates in Georgia that will finally shed light on this controversial healthcare topic. Georgia currently has no laws requiring hospitals to disclose their infection rates to the public. Instead, the Department of Community Health (DCH) exclusively monitors infections and works with the CDCP to address any issues or causes for concern. This leaves the public completely ignorant and, therefore, incapable of making an informed decision about which hospital can offer the safest facilities. I will never understand why restaurants are required to post their health inspection scores for all to see, but hospitals, where people entrust their own lives, have the luxury of withholding their uncleanliness and infection rates from the public. I think I speak for many when I say that having peace of mind before entering surgery is perhaps a little more important than having it before eating a sandwich at the local deli. It is with great pride and joy that I announce that the Georgia Supreme Court today held caps on non-economic damages in medical malpractice cases unconstitutional as a violation of a citizen’s 7th Amendment right to a jury trial. The ruling was in Atlanta Oculoplastic Surgery, P.C. v. Nestlehutt, published today. The Georgia Supreme Court held unequivocally that nothing trumps a person’s 7th Amendment right to a jury trial, including the Legislature’s attempt to cap damages. This is a great victory for Everyday Georgians who have been or may become the victim of medical malpractice or medical carelessness. Contrary to the Medical Association of Georgia’s spin on this, the caps law did NOT decrease doctors’ medical malpractice premiums. In the three years between 2002-2005, malpractice premiums increased 150%. In the five years since the caps law was enacted, premiums have gone down only 7%, hardly the panacea physicians were looking for and hardly the cure-all that MAG claims it was. So Everyday Georgians can rest easy tonight knowing the Georgia Supreme Court would not stand idly by and allow their rights to be trampeled. Many thanks to the Nestlehutts, who showed remarkable courage through this ordeal, and to their attorneys, Adam Malone and Mike Terry. The Supreme Court of Georgia will soon rule on this issue, i.e., whether the Georgia Legislature’s imposition of an arbitrary cap of $350,000.00 on damages in medical malpractice cases violates the 7th Amendment Right to a Jury Trial under the United States and Georgia Constitutions. The case pending before the Georgia Supreme Court right now on this issue is Nestlehutt v. Atlanta Oculoplastic Surgery, P.C., d/b/a Oculus. I have filed an Amicus Brief with the Georgia Supreme Court in support of Mrs. Nestlehutt and in support of the position that such arbitrary caps on damages do, indeed, violate your 7th Amendment right to a jury trial. The Nestlehutt case involved cosmetic surgery that disfigured Mrs. Nestlehutt permanently. A Fulton County, Georgia jury, who heard all the facts and considered all the evidence in the case, returned a verdict for Mrs. Nestlehutt and her husband in the amount of $1.2 Million. Under the caps law, this would have been written down to $350,000.00; however, the trial judge found the caps law to be unconstitutional. And so, Oculus appealed that outcome to the Georgia Supreme Court. Other media have referred to this case simply as a “botched facelift” case. This does not, however, adequately portray the injury Mrs. Nestlehutt sustained and the horrible pain and suffering she has endured since that careless surgery. Below is a video that shows the after-surgery photographs of Mrs. Nestlehutt so that NO GEORGIAN thinks this is simply a “botched facelift” where the patient simply doesn’t think she looks as good afterward as she should. It was a horriffic injury and after watching the video below, I think you will agree that the original jury’s award of $1.2 Million was proper. Thanks to her attorney, Adam Malone, for sharing this powerful video with me. I want all Georgians to watch it. Thanks to Mrs. Nestlehutt in having the courage to share it and the courage to fight this battle. WE THE PEOPLE from Georgia Justice on Vimeo. How many hoops should you have to jump through to get justice? It’s a fair question that many people struggle with. 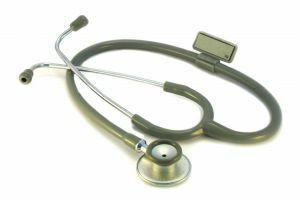 Recently, the CEO of a Georgia medical services company suggested in a guest column in the Atlanta Journal and Consitution on Friday, January 8, 2010, that to be really sure that Georgians who have been harmed by negligent medical care are worthy of justice we should subject them to one more hoop. Not coincidentally, it’s a hoop that benefits only medical professionals and insurance companies – the only two interest groups that profit when injured patients are prevented from securing justice. What this CEO has proposed is that, instead of allowing victims of medical malpractice the same Constitutional Right to Trial by Jury enjoyed by all other Georgians, people harmed by medical malpractice would have to get permission to have a jury trial from a “screening panel” comprised of members of the medical and insurance industries, the same entities that want to avoid compensating injured patients. This approach is wrong and adds an unnecessary, ineffective layer to our civil justice system. The fact is all medical malpractice cases brought in Georgia have already been through multiple screening hoops. The first hoop is that you have to have had something very bad happen as a result of malpractice. Your next hoop is that you have to find a lawyer willing and able to take your case. That lawyer will tell you that there is another, special hoop that protects only professionals charged with negligence. In order to pass through that hoop, the patient must find a medical professional willing to publicly criticize their colleague and sign a document swearing that malpractice happened. So far your case has been screened three times: Something bad happens. You find a lawyer who will invest in helping you find justice. And, you find another doctor who agrees that there was malpractice and is willing to say so. Then there’s a fourth screening before you can have a jury hear your case: the judge must screen the case, too.